Sirkin was inspired to experiment with this fundraising platform because he feels students are the future of philanthropy. He also had the support of Autism Speaks senior management and its Board of Directors to be creative and entrepreneurial in ramping up their fundraising program. Since the new personal fundraising templates were integrated into Autism U, about $30K has been raised to support Autism Speaks. 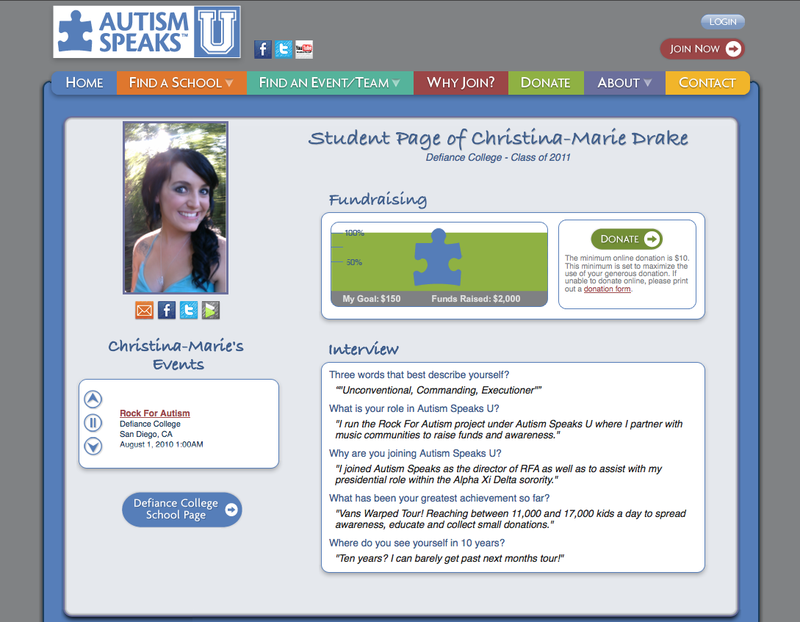 Though Sirkin has a long way to reach his multi-million dollar goal (he estimates it will take about two years) and is still figuring out logistics such as does Autism Speaks pay for out of pocket expenses by fundraising event organizers to coordinate events, he is confident that highly personalized fundraising pages will bring in the money. "The trick to all of this 'social media stuff' is to figure out how to scale up personal conversations. Once we put a personal fundraising platform in place and figure out who is using it, we can drive all sorts of programmatic approaches through the site – everything from public recognition to internships to valuable career advice and access to decision makers and beyond. It’s literally all on the table as well as incentives, gaming, points programs and a flat out phenomenal community service experience. If we do all that stuff, we’re sure the money will come; and even if it doesn’t, we’ll be creating the volunteer base for the future generation of Autism Speaks." At the end of the day though, Sirkin's entrepreneurialism shines through. "If it fails, it fails. I will think of something else."